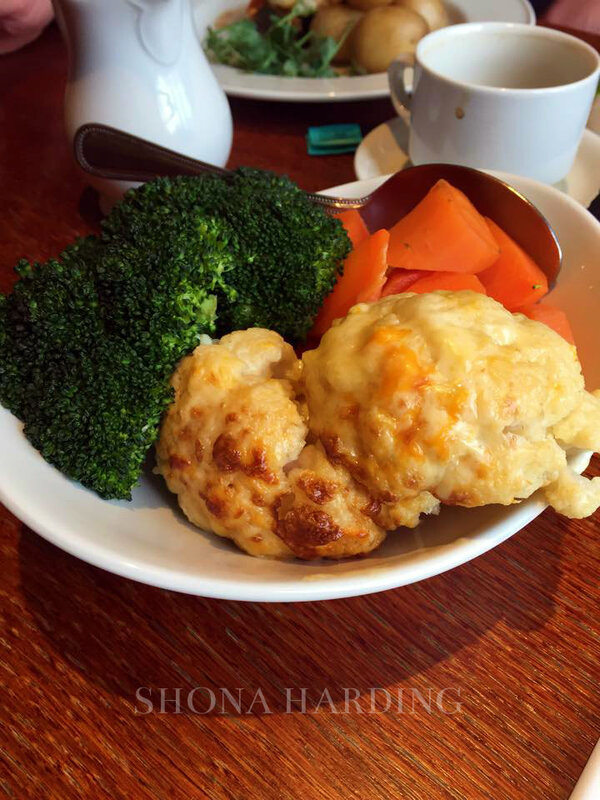 Earlier this week I published a post on my brother’s birthday weekend up in North Wales and decided to do a separate post on all the food I ate there because it was amazing and if you are from any where near these places I definitely recommend you go! Sadly, due to a lot of university work I wasn’t able to post this sooner so I will have a proper brother birthday post coming later this week. But, for now, I hope you enjoy this. On the first night of our little adventure we found an adorable pub called ‘The Ship’ in Porthmadog. This pub seemed very traditional and very lovely, including a bulletin board of all the things they got up to in the week (Tuesday night bingo? Count me in!) 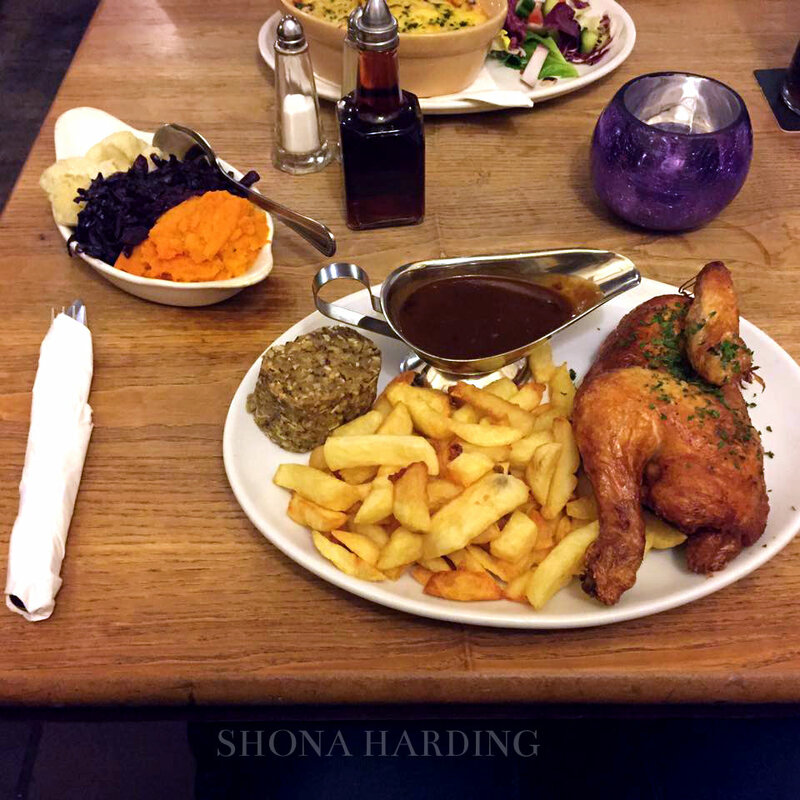 There I had a delicious roast chicken dinner with chips and it was amazing for a pub meal especially as I am so used to Wetherspoons (no offence to them however – they’re every students dream). Everyone was so welcoming as well and because there were quite a few families there too we didn’t feel out of place eating a full meal while most people filled up on beer! On the actual main day we went into Betws-y-coed and found a hotel and restaurant that was incredibly posh and welcoming. It was called the Llugwy River restaurant and was doing a set afternoon/evening meal which sounded perfect (who could not resist two courses for £12?) I started with a prawn cocktail in a thin pastry which was delicious! The last time I ate prawn cocktail was at my year 11 prom in 2011 and let’s just say…they could have picked better food to go with our ball gowns then prawn cocktail and curry! 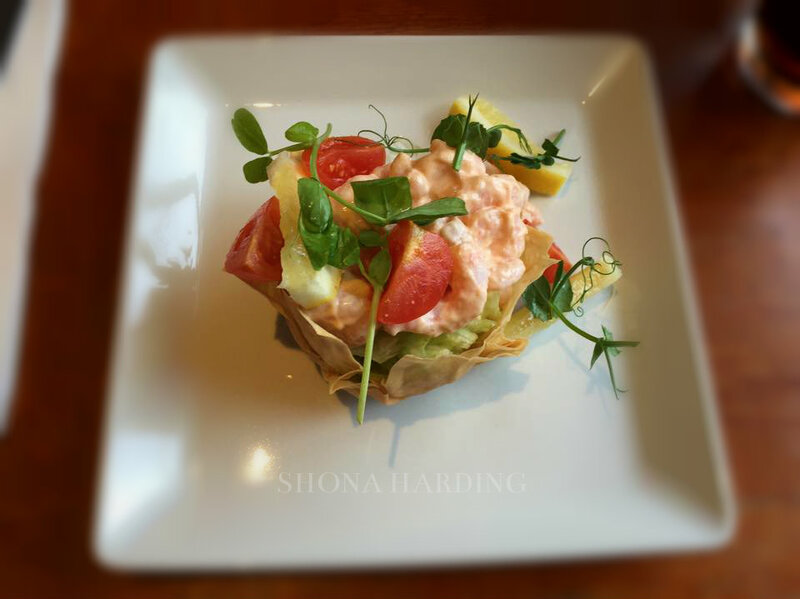 What really sold me with this starter was the presentation – I mean just look at the picture I took – it looks so delectable! I then moved on to mains and had roast chicken with sausage stuffing, new potatoes, roast potatoes and all the veg! Seeing as it was Sunday I couldn’t pass up a roast now could I? This was amazing! 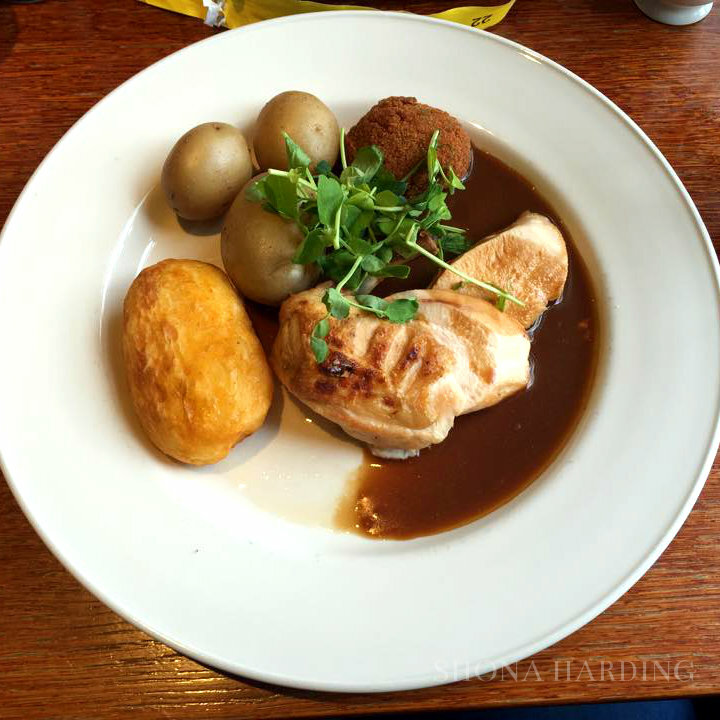 The chicken was perfectly cooked and the potatoes were the right amount of fluffy and crispy at the same time. But what I really have to give credit to is the vegetables. Now I can be very particular about the way my veggies are cooked but these were amazing. They were slightly crunchy but not too much that you had to literally force your teeth round them and they were so flavourful I helped myself to at least two or three helpings. I apologise if this post made you hungry but, to be perfectly honest, my mouth is watering all over again too! If you are from North Wales or these parts please, please, please visit these places or if you already have let me know. Accompany this food with the amazing views of the mountains and you have a wonderful place to go for a short weekend. I hope you guys have a wonderful easter!